Do you know about the google merchant advertising tool? Yeah, it is the best tool for marketing of your drop shipping store on the google. You can yield good results in a simple process with the Google Merchant Center. You need to set up the account, collect your data, analyze it and optimize your feeds and campaign for best results. 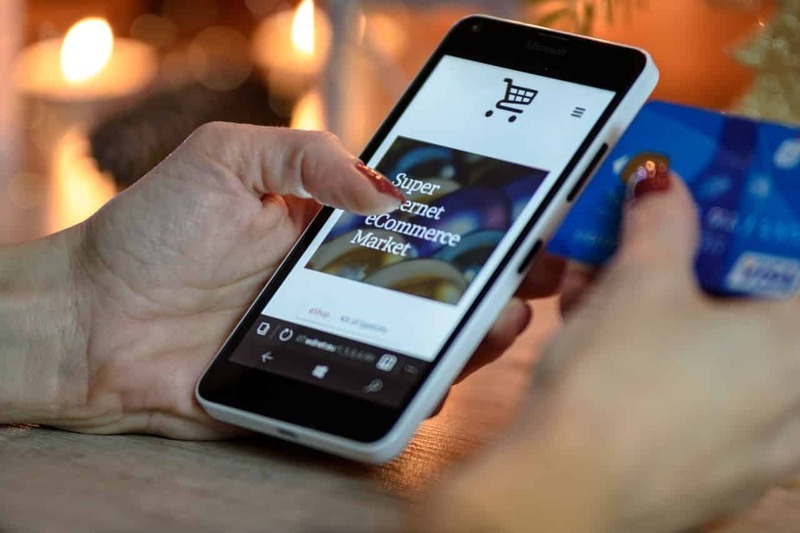 There are many ways to advertise or promote your store or products but promoting with Google shopping ads will costs you a very low with good conversion rates and visibility to the outer world. Now let’s walk through what is meant by the Google Merchant Center, Google shopping, and shopping ads. Google Merchant Center: It a tool which helps you to store your store or products on the Google and making it available for shopping ads and other services too. It is also the place where your product feed lives. Google Shopping: The Google Shopping is empowered by two tools i.e AdWords and google merchant center. It is a product search on the google and compares the prices between the vendors. Shopping ads: Google shopping had the great potential to generate the good conversion rates and sales by the shopping ads. These shopping ads will help the people to easily and quickly find you on the Google. 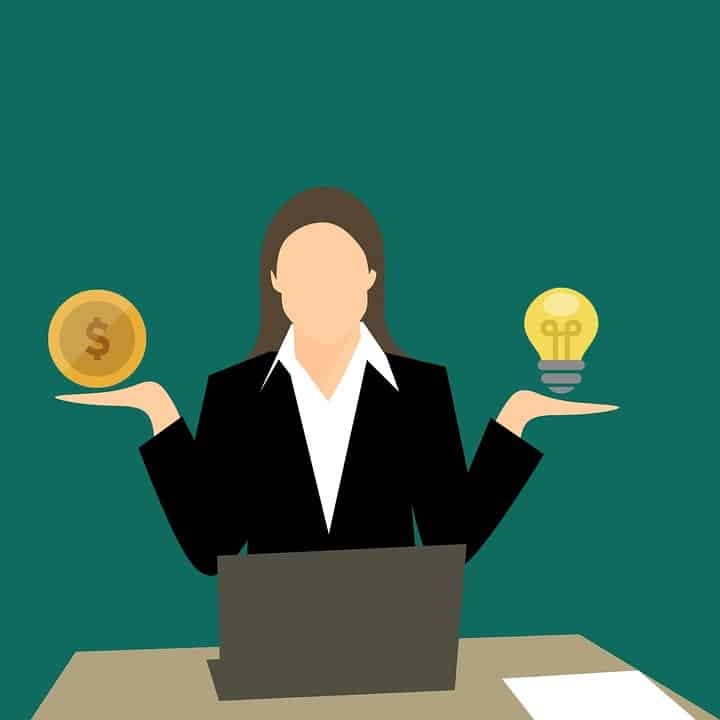 In Spite of promoting your products from other ad types such as facebook or Instagram google shopping ads find a good advantage and requires less attention of you. You can get high conversion rates. Control your product information according to your need. Shopping ads are of low cost and competition. You can test the products without losing any money. The thing is that you need to make sure about the product description and title matches the product displayed on the google. If you want to use the google shopping ads for your drop shipping business, your next step to create the google merchant center account. You need to create the AdWords as well as google analytics accounts too. How to create a Google Merchant center account? In order to sell your products on Google, you need to upload your products to google merchant center and then create shopping campaign in the Google AdWords. First you need to create the google merchant center account and keep all your store details. 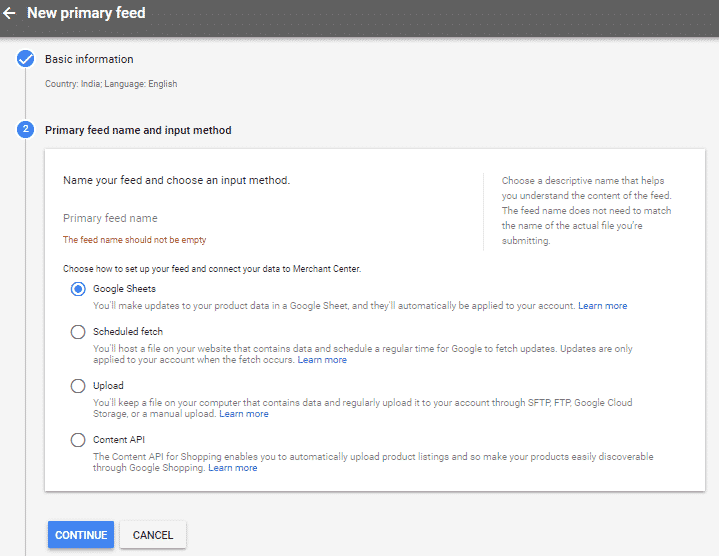 You also needed to be signed into the google account which you used to view the google analytics of your website. Have a smile and open the google merchant center and sign up. You will be automatically logged in if your google account is active. Next you need to give the information about your business. Here you need to give the business display name, website url, business address and customer service contact information. You need to click save button. After filling and saving the business data you need to link your account to the website. A code is generated and you need to place it on your website. So your business get verified and claimed as well. You can upload the logos for your google shopping . In the product tab you can see the diagnostics of the shopping ads. You can see the list of products you had uploaded to the google merchant center. You can get the google shopping feed of the approved products. 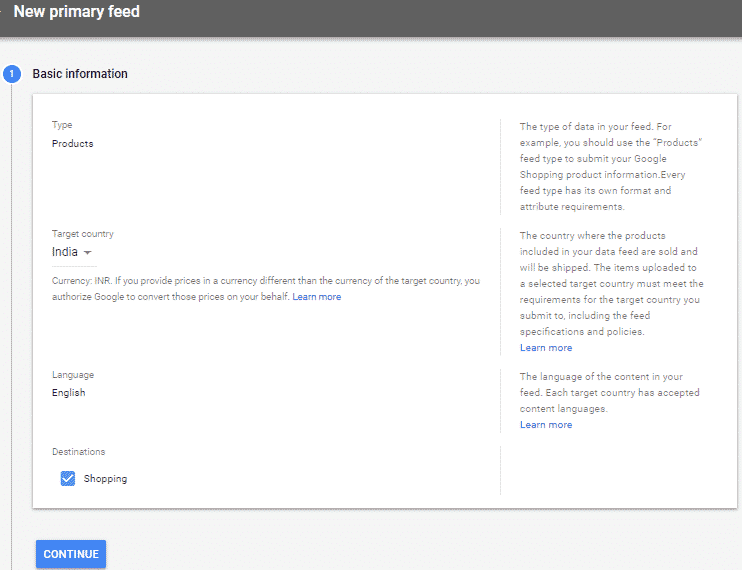 You can add the new google product feeds too. By clicking the plus symbol and then continue. You need to give the basic information such as the product type, target country and language of your google shopping feed. Then press continue button. You need to give the feed name and then select the required input method. There are four different input methods to use from. The google sheets, scheduled fetch, upload and content ApI. You can make your products feed in the google sheets and then upload them. 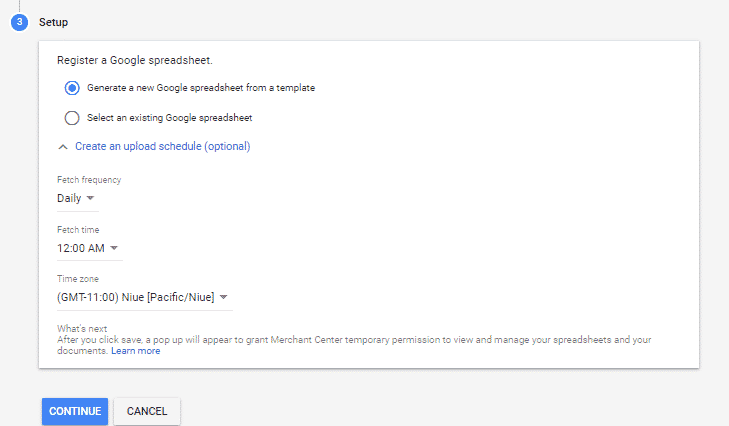 In the final step you need to register your google spreadsheet, upload the schedule and fetch frequency to get daily updates. You need to set the tax for your products on google shopping. You need give to the shipping services details i.e.service name, area and currency too. How to link google AdWords and google merchant center accounts? 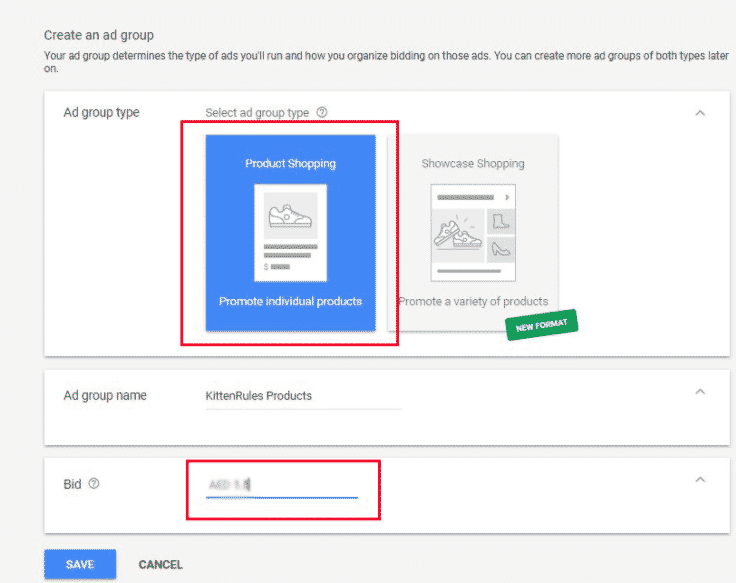 You need to connect the adwords account to create the google shopping campaign and advertise your products. By linking the google adwords with the google merchant center you can expose your products directly to the users with the shopping ads.You can link your merchant center to the different google platforms for reaching to more traffic. Go the Google Adwords account to create the new Google shopping campaign. Under campaigns->select the new campaigns and select the campaign type. Then you need to select the campaign settings You need to give the campaign name, bidding, budget,devices, networks and locations then save, continue. Then you need to create the ad group for the shopping your products. You need to select the ad group type, name and then set bid value, save it. How to analyze the Google shopping campaigns results? 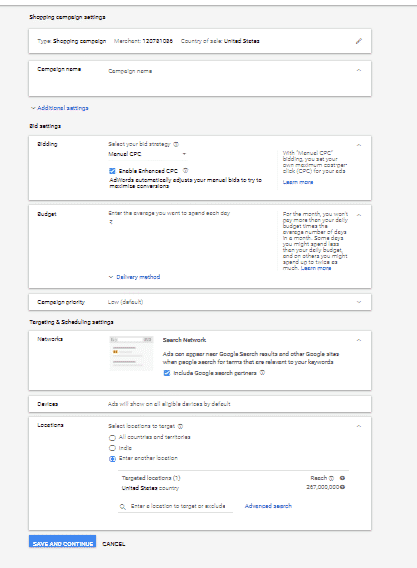 In order to get the up to date stats of the campaigns you to need your goals in the google analytics section. You need to go to the conversions in your google adwords account. Then click the plus button and select to import conversions from another platform. Then you need to select the google analytics and press continue button. You can now see all your goals and then go to the google analytics and configure your adwords link group. Here comes the end to boost up your sales. To get the results open the google analytic account related to the website data and then select the traffic,adwords and campaigns where you can see the sales and expenses of your google shopping ads. Hello, everyone, this is the wonderful approach for the people who kept the online store to boost their sales. It helps your product reach to the maximum extent.